Montreal's Olympic Stadium may be among Canada's most iconic buildings, but that doesn't mean they can put it on a T-shirt, a Montreal designer has been told. Pier-Luk Bouthillier says he received a notice on Sept. 13 informing him that a tourist T-shirt he makes featuring drawings of various Montreal landmarks is in violation of Canada's copyright laws and may infringe on the rights of the man who designed the stadium more than 40 years ago. The notice, sent out by SODRAC, the society that represents authors, composers, music publishers and artists in Canada, demanded he stop producing the T-shirts, which include images of the stadium and Alexander Calder's iconic "Man, Three Disks" sculpture. He says it also asked him for compensation for having reproduced the two works without authorization. 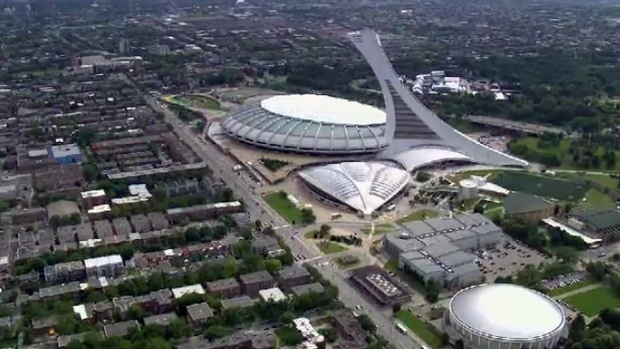 Bouthillier says the letter claimed he was violating the rights of the authors -- namely Calder and Roger Taillibert, the French architect who designed the stadium for the 1976 Montreal Olympics. He says he was shocked when he read the letter. "These monuments are part of Montreal and Canadian identities, and I never for a second thought it would cause a problem," he says. Bouthillier says he has not yet decided how he will respond. 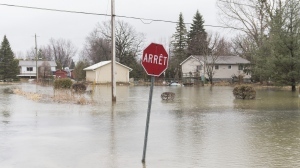 Gilles Lessard, a spokesman for SODRAC, confirmed the notice was sent. Although he did not want to discuss Bouthillier's case specifically, he says Canadian copyright laws protect authors' rights to their work, unless there is a specific contractual agreement specifying otherwise. He says that while an exception exists for public works that allows them to be drawn, painted, photographed or filmed, he does not believe that includes the right to reproduce their images for commercial purposes. "There can be different readings of this law, and that's the way we've read it," he told The Canadian Press in a phone interview. Lessard says while technically the society could go as far as to prosecute individuals who don't comply, he would not say whether the group was considering that option in Bouthillier's case. The Olympic stadium, dubbed the "Big Owe" for its runaway construction costs, was finally paid off 30 years after the city hosted the 1976 Olympics. But although it, and Calder's sculpture, may be widely viewed as public monuments, a McGill University law professor says they're still considered "works," and therefore covered by copyright law. "Technically speaking, whether it is a song, a text or a sculpture, reproduction needs to be authorized," says Pierre-Emmanuel Moyse, who specializes in intellectual property law. "It might come as a surprise because we see them as public monuments, but they're works." He says that even if a building is publicly owned, an author still retains certain non-transferable moral rights, including the right to refuse to be associated with products they don't like. Reached by phone at his home in France, Taillibert says he "was not at all aware" of Bouthillier's case, but confirmed he still retains rights over the use of the stadium's image. The 90-year-old architect says getting authorization was generally uncomplicated and offered to help direct Bouthillier's letter to the relevant people.